When Steven Spielberg makes a sci-fi action film, expectations couldn’t be higher. And that’s probably one of the reasons why, in 2013, he indefinitely postponed work on his adaptation of Daniel H. Wilson’s best-selling novel Robopocalypse. But here’s an intriguing look at what might have been... or might still be. The legendary filmmaker had been working on the film for several years, going as far as casting Chris Hemsworth, Anne Hathaway and Ben Whishaw in key roles. 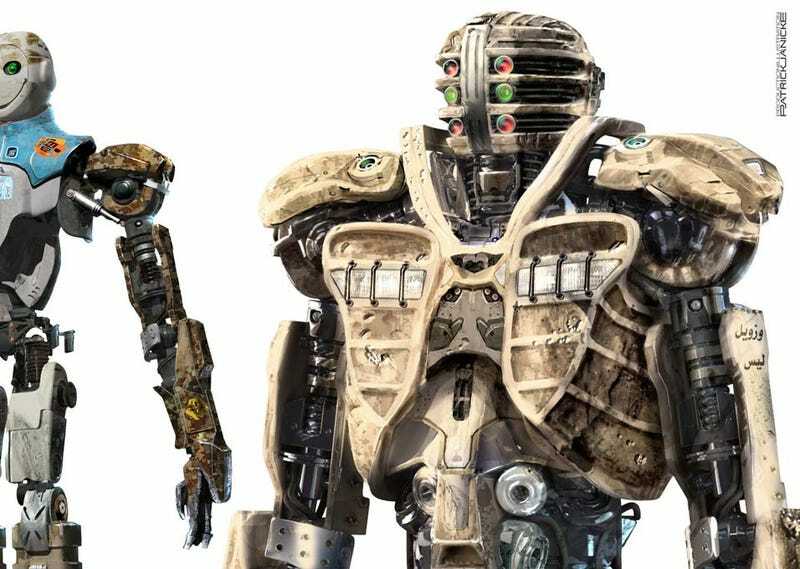 But eventually, Spielberg and his team announced the script by Cabin in the Woods helmer Drew Goddard “wasn’t ready” and would be “too expensive to produce.” Spielberg insisted the project wasn’t dead and that he may make it at some point but, as it stands right now, Robopocalyse isn’t happening . Now some concept art has surfaced from the film and it shows an impressive amount of work, character and weapon design we’re not likely to ever see on screen. Here are just a few of the images by artist Patrick Janicke. In the future, robots have been created to serve Mankind. Archos, the 14th version of an advanced Artificial Intelligence developed by the U.S. government, continuously deleted for displaying hostility towards humans, escapes from being destroyed and soon becomes a virus, downloading itself into every piece of A.I.-controlled technology in the planet, leading to a worldwide robot uprising where the humans caught in the chaos struggle to survive.